Discussion in 'Forza Horizon 4' started by GTPNewsWire, Sep 14, 2018. 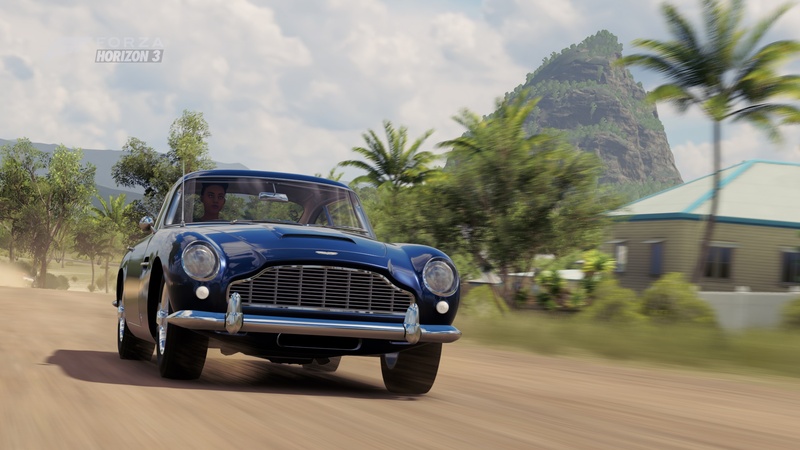 This article was published by Michael Leary (@Terronium-12) on September 13th, 2018 in the Forza Horizon 4 category. GranTurismo guy, Minty, Garapablo and 5 others like this. Or the BMW 750iL from Tomorrow Never Dies. Love that scene when Q delivers it to Bond. Clark, HarlemG27, Rob192005 and 6 others like this. MidnightRush, GranTurismo guy, Cloudy and 5 others like this. Only care about that AMC Hornet. The type of car every racing game needs more of. ykiki, L8 Apex and MockngBrd like this. This is a sentence of absolute excitement. Am I the only one who got excited for the BMW Z3 1.8i and the 750iL? They had a chance to make something really unique However, this is one epic pack. I'm itching for this game more and more. diegorborges and Clark like this. YES. The lack of '90s Euro and Japanese* luxobarges in modern games is appalling. HarlemG27, syntex123, VXR and 2 others like this. The removed the Micro Transactions so this is free stuff right? You need Ultimate Edition or buy the pack separately. So it is not free stuff. Micro Transactions? Garapablo and UKMikey like this. Doesn't really fit the definition for MTX - which usually allow the player to buy cosmetic or consumable items (that in most cases could otherwise be unlocked through normal gameplay progression) one-by-one from an in-game marketplace. I'd say that it's more of a proper DLC, considering it comes with 10 cars that are otherwise inaccessible to players. Also consider that the Ultimate Edition is cheaper than the Standard + VIP, Car Pass and the likely cost of the two expansions. So, it's really more of an extra zero-cost perk of the Ultimate (together with early access) than a DLC. That is, of course, until it hits the Marketplace. I know what MTX are. Let's be honest. Forza games had MTX on every X-Box One game but FM7. With Tokens you could bought everything but the DLC content. That is why I asked why MTX? Ok, I did not ask why. You can consider it for free but you still need to pay for it... so it is not free. Day One Car Pack is not the Formula Drift Car Pack, which doesn't need an extra money.. just the pre-order status. ClydeYellow and UKMikey like this. I was about the 750iL? That’s why I wrote about it. Didn't say it was free, more so that it was a perk of ordering the Ultimate edition. With how much is included in the Ultimate, you get such a large deal compared to buying everything separately that it's practically like getting a bunch of free goodies on the side. I know, that is why I said you can consider it free. but since he quoted my response to another question and just to make things more clear I quoted his post to. The Ultimate Edition is the perfect deal period. People are confused at times (they are also lazy and don't want to read all the forum). if the guy who made the question is reading this he might get confused even more. So we must be clear about the Day One Car Pack. I know what MTX are. Let's be honest. Forza games had MTX on every X-Box One game but FM7. With Tokens you could bought everything but the DLC content. Fair enough, tbh I didn't bring the Tokens example up because they weren't a terribly successful example of microtransations. This is kinda like saying that complementary toiletries in hotel rooms aren't free, because you have to pay for the room in order to get them? I guess it's a matter of perspective, I see it as a free perk of paying for something else, but you may say, "hah! so you paid for it", and I have to be honest, there is not much room for rebuttal here. Buying ingame currency with real money is the very definition of microtransactions. This is kinda like saying that complementary toiletries in hotel rooms aren't free, because you have to pay for the room in order to get them? It is not like that.... It is more like asking the hostess if the champagne that they serve in first class is for free. I don't see how, since that has a fee associated to it. This doesn't. Have you ever been on a intercontinental flight? I was many times. If you stay in economy class you can see the first class department. The passenger from the first class are offered a glass of champagne (it is free). The economy passengers don't get the glass too. You still need a ticket for both class but you will get the champagne for free only in fist class. Can we get back to topic now? The way I see it is if you're purchasing it as part of the Ultimate bundle, it is essentially free. Considering this is the version that is being discussed here, rather than the standalone, I don't really understand the issue with making that sentiment. Considering this is a discussion about the car pack that this thread is about, it's fairly on topic. In that case, however, it is a bit harder to gauge if the other perks of flying first class (the plushier seats, etc.) are worth the surcharge, since you can't ask the hostess to rip one seat off first class and install it in economy for you. Don't we have any pictures of the cars in the pack? At least five cars are new-to-Forza, would be interesting to see them rendered in-game! What you are saying is all true. It is just one problem. The Day One Pack will be available as a separate pack for players that didn't bough the Ultimate Edition after October 2nd for extra money. It is for "free" if you buy the UE but the pack is separate even from Car Pass. You can clearly see it on X box store or Microsoft one. What you are saying is all true. It is just one problem. The Day One Pack will be available as a separate pack for players that didn't bough the Ultimate Edition after October 2nd for extra money. It is for free if you buy the UE but the pack is separate even from Car Pass. You can clearly see it on X box store or Microsoft one. You're right. No one was saying otherwise though, even on the post you replied to. Ok... let's put it that way. You bought the pack at a discount price. You payed for it. You bought the whole package. It was not added later for free.... so it is not free. Again, you're right. No one said it was though. All that was said is that with what you're paying for with the Ultimate edition, and the cost of it all, it's essentially like getting something for free, because you're getting such a deal. I think a language barrier might be confusing you. I just tried to make it less confusing for non UE owners... like I said 9 post before. I kind of think you just made it more confusing lol. You should see the question I responded to begin with. Now that was some confusing stuff. I know it's only in Forzavista, but man I want to convert the Lotus Esprit S1 into the sub and take it into the lake!! Rob192005 and ykiki like this.